September 10, 2015 Finally FALL!! Hellllooo Boys and Girls!! 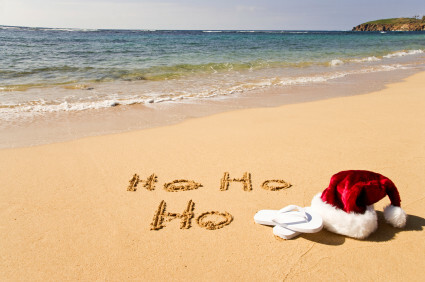 Its been a while since I wrote from here at the North Pole… I hope you all had a fun and safe summer break from school and are either back in school for the new year or soon will be. Its always fun to see all your friends and hear about their adventures, vacations and happenings since the end of last school year, right? Well we’ve had a fun summer ourselves. This summer Mrs. Claus and myself had an early ‘Fall’! 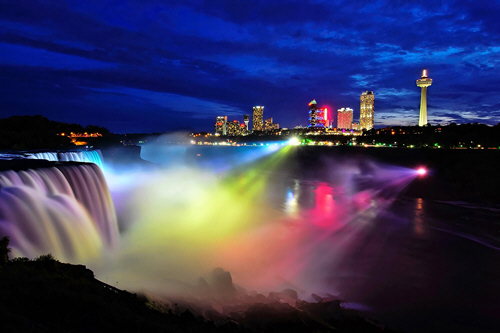 Yes, we visited Victoria Falls in South Africa and also Niagra Falls in New York and Canada! It was so much fun seeing all that water falling so very, very far down…. I’m sure it was all snow at some time – but when it melts it can cause quite a waterfall!! HO! HO!!! Anyway, we had a wonderful time at both places and got to see a lot of you boys and girls along the way. Of course you might not have recognized us as we look a little different during the summer, especially at the beach – we went there too! Its always fun to visit warm weather places during the summer, because as you know its always so very cold here at the North Pole, no matter WHAT time of the year!! Now that we’re back home at the Pole its time to begin our preparation for this Christmas Season! There is so much to do boys and girls… We have to start getting the Reindeer into shape for the big trip. They need to work on their strength and stamina to pull the Sleigh so many, many, many miles on Christmas Eve. ‘Ol Rudolph is getting a little chubby from all the leftovers from Percival’s Magic Bakery. He needs to start running and jumping to get into shape – AND the Raving Red Rudy Apples will start to come into season and he’ll eat those by the bushel!! HO!!! HO!!!! HO!!!!! That’s what keeps his red nose glowing so bright on Christmas Eve you know…. Yes indeedy-do! And of course all the Elves will be coming up with brand new toy ideas for this year, and brushing up on the older ones that are still popular too. Plus there’s the decorations, the new wrapping paper and ribbon, Percy will be busy making lots of wonderful treats for Harvey and me and all the Elves, and then there is the Naughty and Nice list!!! Oh boys and girls, make sure you’re minding your parents and helping out wherever you can! You can’t do too many good things when you’re on the Nice list – and we want you to STAY on that list too!! HO!! HO!!! HO!!!!! Well, I must be going, there’s lots of things for me to get done. I have to read some new Christmas story books for the season, and I have a new Christmas Suit fitting with our North Pole Seamstress – you know she repairs and makes my Santa Suit that I wear during Christmas. Sometimes she needs to let it out a little bit tho! HO!! HO!! I’m hoping this year won’t be too bad! That’s all for now boys and girls! Till next time ‘Be good’ and bye bye!!! HO!! HO!!! HO!!!! bye bye!!! !………..